This might be useful when you receive duplicate mails in your inbox even message tracking shows only one copy delivered to it. There would be some corrupted, hidden or stale mailbox rules sitting in your inbox to copy mails multiple time. Refer KB924297 for the same procedure, just additional screen shots. First copy/export all rules which are live in your Outlook so after deleting all rules we can import it back to outlook. Tools menu, click Rules and Alerts. Click Export Rules & save it to safe place. 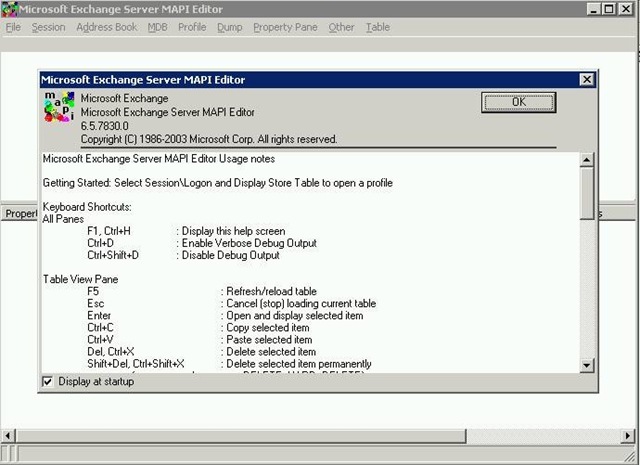 Download MFCMapi from here Microsoft Exchange Server MAPI Editor. Note: Before we begin I have to tell you the fact that MAPI Editor is a pretty dangerous tool, it should be used with care and any small misuse could result in the loss of data or a mailbox being completely unreadable – take care and as always ensure that you have a working backup copy if you are new to it. Run MFCMapi, hit OK button on welcome message. Hit Session menu, click ‘Logon and Display Store Table’. 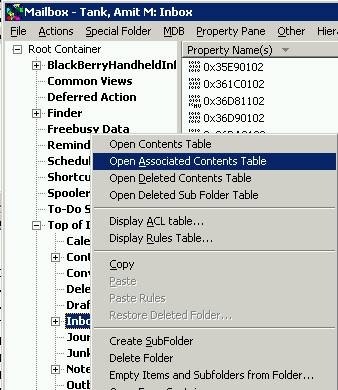 If multiple outlook profile is configured in computer then you need to select profile. Double-click the mailbox that contains the inbox rules that want to delete those. Expand ‘Root Container’, expand ‘Top of information Store’. 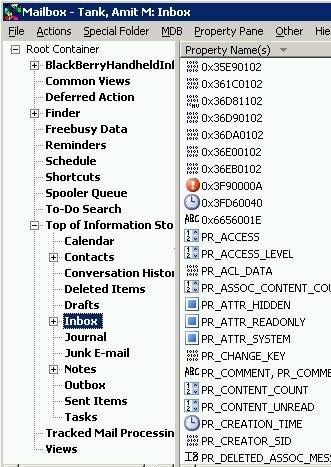 Right-click ‘Inbox’, and then click ‘Open Associated Contents Table’ (which contains the hidden messages of the Inbox). 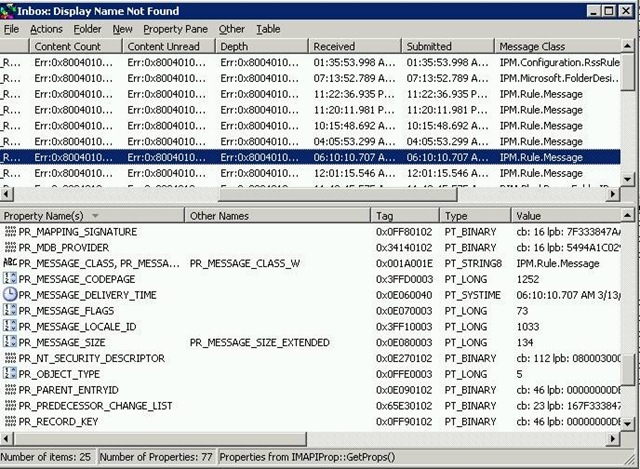 Locate and click the items that have the IPM.Rule.Message as a Message Class, and then click Delete. Select the ‘Permanent delete passing Delete_Hard_Delete’ check box, and then click OK.
Once you delete all rules your inbox is clean from corrupted, hidden or stale rules. Now you can import back all rules which were live in Outlook and we took backup. Click Import Rules & give your rules file which was saved earlier. Now you have Fresh Outlook Rules in your inbox. Thanks for this – i’ve been searching everywhere for the solution to fix this problem. Very good, clear and concise notes. Nice article. 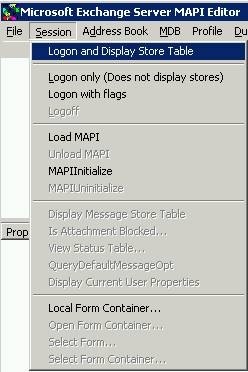 You can get a later version of MFCMAPI up on http://codeplex.com/mfcmapi.